Home > Uncategorized > Today Only – Save On Sandisk and Other Hard Drives, Flash Drives, Memory Cards, and SSDs From Amazon! 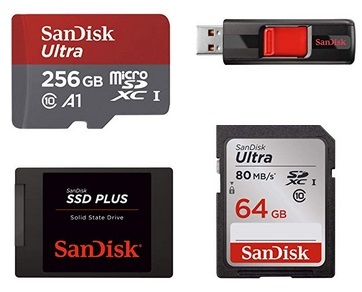 April 15, 2019 Comments Off on Today Only – Save On Sandisk and Other Hard Drives, Flash Drives, Memory Cards, and SSDs From Amazon! As one of today’s Deals of the Day from Amazon, save on select SanDisk and other memory products! Milwaukee M12 12-Volt Lithium-Ion Cordless Screwdriver/HACKZALL Combo Kit (2-Tool) with Two 1.5 Ah Batteries, Charger and Tool Bag Only $99.99 + Free Shipping!